Blue whales, the largest creatures in the history of our planet, are sustained by tiny krill. Perhaps the Earth's bottomless appetite for fossil fuels can be satiated by something even smaller. Algae are more than just the scum on top of the pond. When properly utilized, algae can produce fuels, chemicals and materials that are better and cleaner than petroleum-based ones. Algae are a broad group of simple plants ranging from single-celled diatoms to fifty meter long giant kelp. There are over 100,000 species. Some algae form symbiotic relationships with other organisms to build lichens and coral reefs. Among the oldest organisms on Earth, algae found in the Vindhya Basin of India date back over 1.5 billion years. Some algae species are 50% or more lipid oil by weight. This oil can be pressed from the algae and refined into diesel. The process for extracting algal oil, at its most basic level, is similar to pressing an olive. Up to 75% of the oil can be squeezed from algae with a simple mechanical press. Hexane can be used as a solvent to increase extraction up to 95%. Once extracted, the oil is refined through transesterification. A catalyst such as sodium hydroxide is mixed with alcohol to produce biodiesel and glycerol. Does the resulting biodiesel burn cleaner than fossil-based diesel? A study by Consumer Reports, using a 2002 Volkswagen Jetta TDI modified to run on multiple fuels, found that pure biodiesel had similar emissions to petroleum diesel. The biodiesel produced slightly higher hydrocarbons and mono-nitrogen oxides (NOx) while creating less particulate matter. Carbon dioxide levels were the same. However, a major factor with fuels sourced from plants is that the process consumes as much CO2 as it produces. The California biotech firm Solazyme fueled a Mercedes Benz C320 with algae-sourced biodiesel. They drove the car around the 2008 Sundance Film Festival in Park City Utah to promote Josh Tickell's film “Fields of Fuel”, which features Solazyme. Algal oil can also be used to make cleaner forms of jet fuel, methane, ethanol, butanol and gasoline. In order for algae-sourced fuel to compete economically with petroleum diesel, manufacturers must make the most of every part of the process. The glycerol that is created in biodiesel production must be harnessed and not wasted. Glycerol is a colorless, odorless simple sugar alcohol. It connects three fatty acids to form a triglyceride. One use for the glycerol by-product is as a feedstock for algae. Researchers have found that algae grown with glycerol have greater mass and higher lipid content. Therefore, they are even better for the purpose of biodiesel. The food industry uses glycerol as a sweetener, preservative, thickener and moistener. Glycerol is used in lotions, lubricants and other skin care products. The Formula E electric car racing series has found perhaps the most revolutionary purpose for glycerol. All of their cars are charged with it. The vehicles are moved around the globe from race to race. Charging them from potentially dirty power grids would contradict the message about sustainability Formula E is sending. So the league brings its own chargers powered by algae glycerol. Aquafel Research built a pair of glycerol-fueled generators which travel in a shipping container with the teams. Not only is the fuel nearly emissions-free, but it runs cleaner in the machines as well. The generators are modified Cummins KTA50 models which typically run on diesel. Running on glycerol, there is no soot, no clogging and increased lubricity. The machines are more efficient and require less maintenance. The algae glycerol is such a clean fuel that Sir Richard Branson, sponsor of the Virgin Formula E team, drank a shot of it at a press conference. Do that with your racing fuel. Polyurethane foam is central to surfboard construction. It is also used in hard plastics, flexible plastics, upholstery foam, shoe insoles and more. Petroleum is central to polyurethane production. UC San Diego is fighting the irony that the sport of surfing is reliant on clean, healthy oceans and petroleum-based materials at the same time. Researchers worked with Solazyme to create a better algae-based oil for making polyurethane. Then they joined Arctic Foam, the largest manufacturer of surfboard bodies in the US, to build an algae-foam base coated with renewable resin and fiber glass. The result is a board that if mass-produced would be competitive in price with petroleum-based board. Arctic Foam is distributing the boards to professional surfers for testing and promotion. Fish are an important source of Omega-3 fats, which are important for heart, brain and joint health. But where do the fish get them? By eating smaller fish which, at the bottom of the food chain, get the fats from algae. Algae-based Omega-3s are a powerful dietary supplement, particularly for vegetarians. Algae are used in wastewater treatment plants to metabolize impurities. They can capture fertilizer in farm runoff, preventing those chemicals from entering rivers and lakes. The algae can then be reused as fertilizer, saving costs for the farmer. Algae farms offset carbon emissions from factories and power-plants. 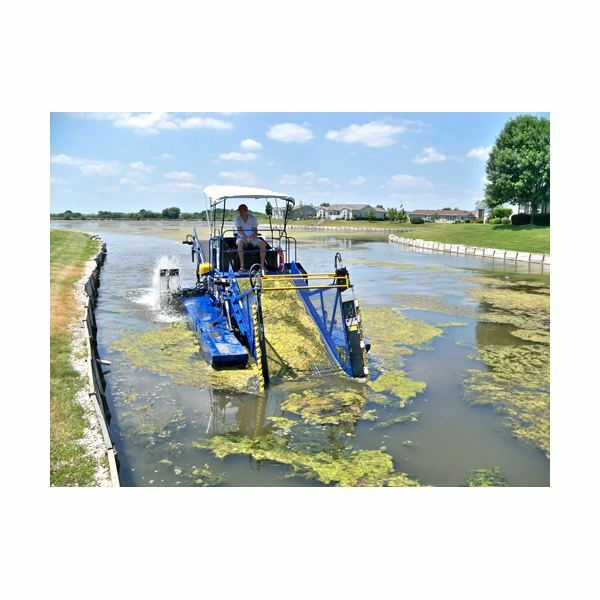 The emissions can be pumped into an algae pond or the algae growth facility can be placed atop a smokestack. The simplest way to grow algae is in an open pond. 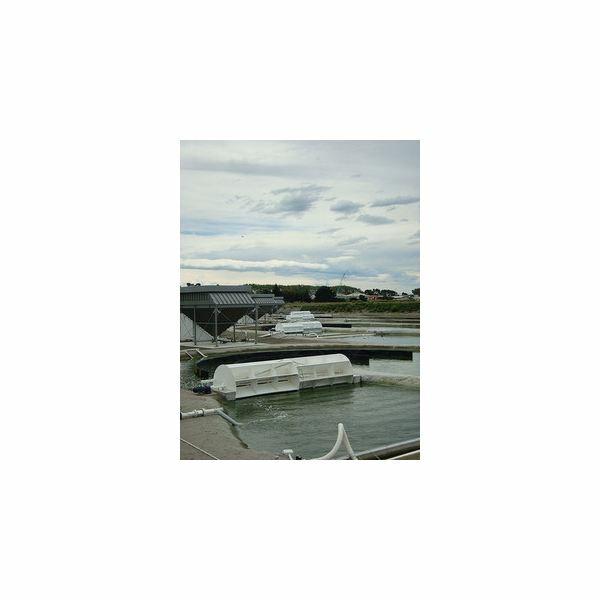 Although the yield-per-acre for an algae farm is notably higher than corn, soybeans, palm oil or other biofuel sources, the pond method still takes a lot of space. The ponds are also vulnerable to contamination and dependent on sunlight. Algae can be grown in vertical containers exposed to sunlight on two sides. They can be grown in the dark with glycerol as their food. Algae farms are built under highway overpasses to absorb automotive pollution. Algae will grow in high salinity and in wastewater, so no clean drinking water will be diverted. The art and science of optimized algae cultivation is just starting to grow. The process must be efficient both economically and spatially to be effective. The US Department of Energy estimates that for the nation's fossil fuel use to be replaced by algae fuel grown in open ponds, it would take 15,000 square miles. That's half the size of Maine. Improved growing methods will decrease the amount of land needed. The research is expensive and currently the cost of algae fuel is above other plant sources. Algae-sourced products have the potential to reduce pollution on this planet, but the methods for growing, utilizing and maximizing algae need to be improved. The population will not change unless the alternative is cheaper and easier. More bright minds need to bring fresh ideas. What do you need to learn to be part of the shift? Begin with a solid education in biology and botany. Learn how algae grow and how to manipulate desired genetic traits. Then follow your interests into biotechnology, engineering, chemistry and applied science. Find a school that will let you get your fingers green. There is no substitute for hands-on experience. Become familiar with the organisms and new ideas will come. A cleaner energy future may arrive with help from some of the smallest, oldest and simplest plants on Earth.